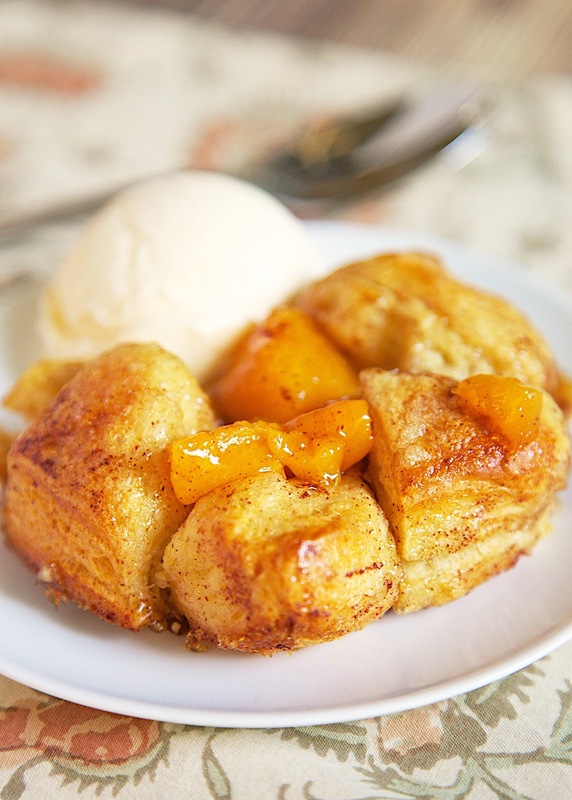 Peach Cobbler Bubble Up recipe. This dessert recipe only has 4 ingredients! It takes about 30 minutes from start to finish. We like to serve this slightly warm with a big scoop of vanilla ice cream! SO good!! 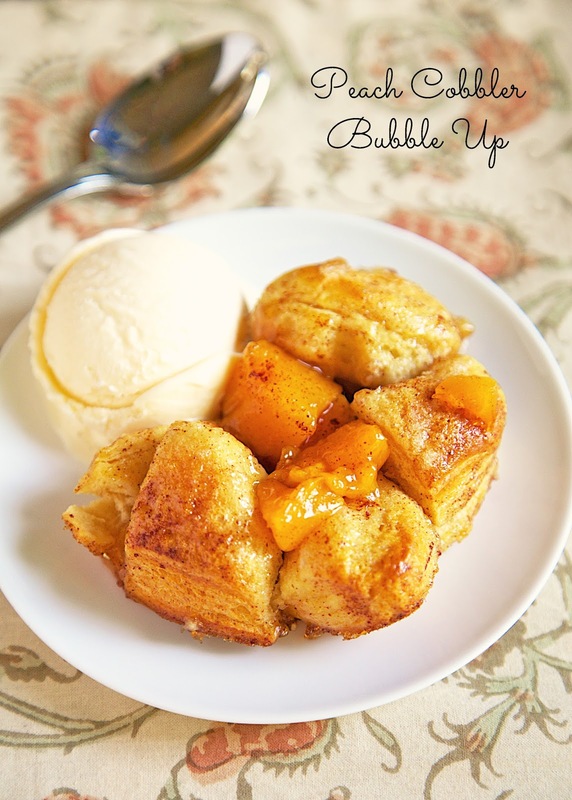 Today I'm sharing a super simple Peach Cobbler Bubble Up recipe. This dessert recipe only has 4 ingredients! It takes about 30 minutes from start to finish. This would be great for Father's Day or a Summer BBQ. We like to serve this slightly warm with a big scoop of vanilla ice cream! SO good!! As with the other Bubble Up recipes, I used a can of Grands! Jr. biscuits, not the regular big Grands! Biscuits. Also, make sure to spread out the biscuits in the pan so they cook evenly. You don't want big gobs of uncooked biscuits in the cobbler. You could definitely make this a day in advance. I suggest reheating it before serving. In a large bowl combine peach pie filling, and cinnamon . Using a spatula, chop up peach slices into bite-sized pieces. Cut biscuits into 4 pieces. Stir into peach mixture. Pour into prepared pan, making sure to spread biscuit pieces evenly in the pan. Sprinkle top with brown sugar and bake 25-30 minutes. I just made this and it is absolutely delicious! It's a keeper! !